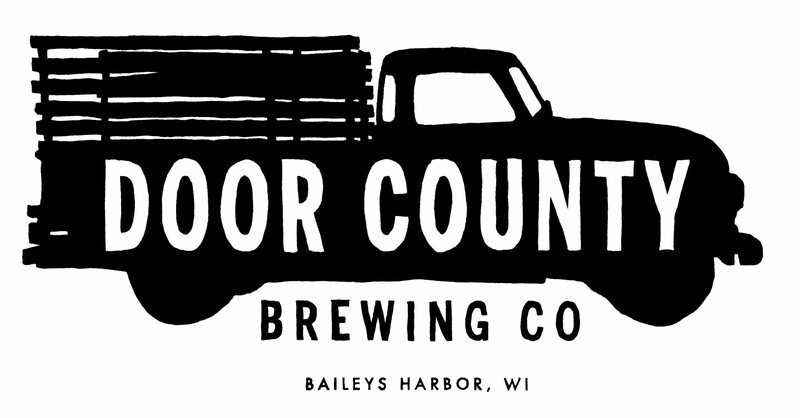 Door County Tickets | The Mix Tape: A Beer Dinner at Parador with Hacienda Beer Co. 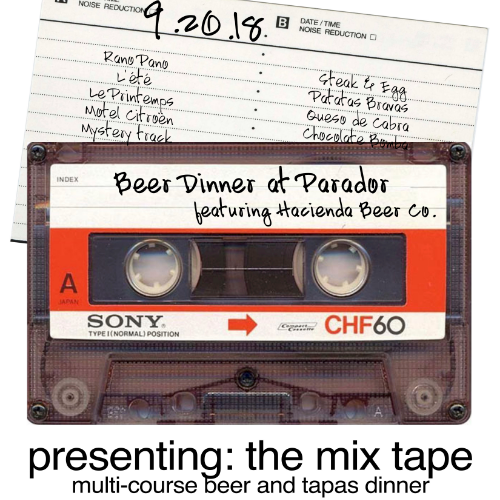 The Mix Tape: A Beer Dinner at Parador with Hacienda Beer Co.
Hacienda Beer Co. and Parador are presenting a mash up of special release beers and all-time favorite tapas – The Mix Tape. In a celebration of Hacienda Brewing Co.’s newest release, Rano Pano, Parador will be rocking some of their greatest hits in a multi-course beer dinner on Thursday, September 20th. Steak and Egg. Queso de Cabra. Chocolate Bomba. Guests will enjoy these favorite tapas hits along with a few new jams as they get down with some special release suds. L’été. Le Printemps. Motel Citroën. Rano Pano. These beers are usually only available within the confines of Door County Brewing Company Taproom and Music Hall in Baileys Harbor…until now! Have Mix Tape. Will Travel. The evening’s hosts will be Ben & Danny McMahon of Hacienda Beer Co. and Larry & Rebecca Majewski of Parador. These MCs have put together a thoughtful, fun, and delicious Mix Tape just for you. Enjoy today’s hits and yesterday’s favorites. The Mix Tape has a limited number of seats. Act now to ensure yourself cold, frosty brews and 100% chance of good times to follow.